This program offers online theory and hands‐on practical training. It is designed for trades people who are interested in general building and facilities maintenance systems. Read, interpret and revise schematic drawings and documentation. Select, install, maintain and troubleshoot power distribution equipment systems. Select, install, maintain and troubleshoot lighting systems. Install, maintain and repair wiring systems. A Facilities Building Maintenance Technician is responsible for the maintenance, inspection and repair of the inside, outside and exterior areas around large buildings and complexes (including the roof), as well as the various systems within the facility, including ventilating, humidifier and air conditioning, water and water treatment, heating and electrical systems. 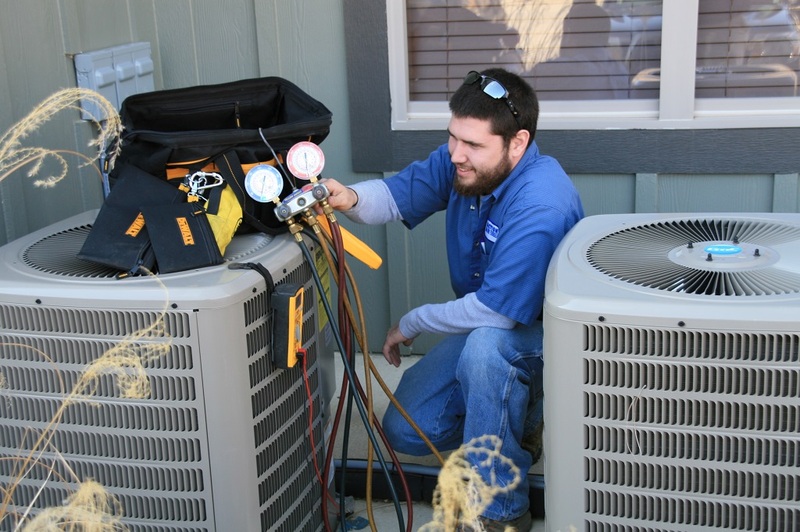 A Facilities Technician checks and inspects fire safety equipment and performs grounds maintenance as well as maintenance around the inside, outside and exterior of smaller sized apartment buildings. A Facilities Technician monitors and operates electrical and plumbing systems and inspects and verifies emergency power, fire suppression and sprinkler systems, in addition to the above duties. Reviews the history of the trade, describes the apprentice program, identifies career opportunities for carpentry and construction workers, and lists the skills, responsibilities, and characteristics a worker should possess. Emphasizes the importance of safety in the construction industry. Recognizes hazards associated with materials handling and explains proper materials handling techniques and procedures. Also introduces materials handling equipment, and identifies appropriate equipment for common job-site tasks. Reviews basic mathematical functions such as adding, subtracting, dividing, and multiplying whole numbers, fractions, and decimals, and explains their applications to the construction trades. Explains decimal-fraction conversions and the metric system using practical examples. Also reviews basic geometry as applied to common shapes and forms. Introduces the basic elements of construction drawings. The common components of drawings are presented, as well as the most common drawing types. The use of drawing scales and how to measure drawings is also covered. Examines plot plans, structural drawings, elevation drawings, as-built drawings, equipment arrangement drawings, P&IDs, isometric drawings, basic circuit diagrams, and detail sheets. Focuses on electrical prints, drawings, and symbols. Teaches the types of information that can be found on schematics, one-lines, and wiring diagrams. Introduces light construction equipment, including the aerial lift, skid steer loader, electric power generator, compressor, compactor, and forklift. An overview of general safety, operation, and maintenance procedures is provided. Covers the principles, equipment, and methods used to perform differential leveling. Also covers the layout responsibilities of surveyors, field engineers, and carpenters; interpretation and use of site/plot plan drawings; the use of laser instruments; and methods used for on-site communication. Covers tools, equipment, and procedures for safely handling, placing, and finishing concrete. Describes joints made in concrete structures and the use of joint sealants. Introduces the trainee to the historic and current materials and processes used in the masonry trade and covers safety concerns specific to the trade. Explains the uses of brick and concrete block, along with basic techniques for mixing mortar and laying masonry units. Covers opportunities in the trade. Allows the trainee to mix mortar and perform basic bricklaying. Covers all types of concrete and clay masonry units and their applications. Explains the use of ties and reinforcing materials. Covers the processes used in placing masonry units, including layout and setup, spreading mortar, cutting brick and block, laying to the line, making corners, tooling joints, patching, and cleanup. Covers framing basics as well as the procedures for laying out and constructing a wood floor using common lumber as well as engineered building materials. Introduces the building materials used in construction work, including lumber, sheet materials, engineered wood products, structural concrete, and structural steel. Also describes the fasteners and adhesives used in construction work. Discusses the methods of squaring a building. Provides descriptions of hand tools and power tools used by carpenters. Emphasizes safe and proper operation, as well as care and maintenance. Describes the procedures for laying out and framing walls and ceilings, including roughing-in door and window openings, constructing corners and partition Ts, bracing walls and ceilings, and applying sheathing. Describes the various kinds of roofs and contains instructions for laying out rafters for gable roofs, hip roofs, and valley intersections. Coverage includes both stick-built and truss-built roofs. Covers the common materials used in residential and light commercial roofing, along with the safety practices and application methods for these materials. Includes shingles, roll roofing, shakes, tiles, metal, and membrane roofs, as well as the selection and installation of roof vents. Covers the various types of exterior siding used in residential construction and their installation procedures, including wood, metal, vinyl, and cement board siding. Introduces types of stairs and common building code requirements related to stairs. Focuses on techniques for measuring and calculating rise, run, and stairwell openings, laying out stringers, and fabricating basic stairways. Focuses on the communication process and developing effective communication and leadership skills. Compares problem solving to decision making. Discusses potential human relations difficulties and how to resolve them. Covers safety rules and regulations for electricians. Describes the necessary precautions to take for various electrical hazards found on the job. Also teaches the mandated lockout/tagout procedure. Explains the purpose, function, and operation of wet pipe system components. Describes riser check valves, alarm check valves, and trim; flow, tamper, and pressure switches; fire department connections and hose stations; antifreeze systems; faulty pressure gauges; inspector’s test connections and auxiliary drains; and hydrostatic testing and test pumps. Introduces the stages of planning, how to implement a plan, and how to coordinate with other contractors. Includes planning resources, materials, equipment, tools, and labor. Discusses short- and long-term schedules. Discusses the causes of accidents and their consequences and repercussions in terms of delays, increased expenses, injury, and loss of life. Reviews the types and proper use of personal protective equipment (PPE). Instructs trainees in the use of critical safety information conveyed in hazard communication (HazCom), safety signs, signals, lockout/tagout, and emergency response. Covers confined-space safety, and reviews safety issues related to hand and power tools. Introduces trainees to the different types of plastic pipe and fittings used in plumbing applications, including ABS, PVC, CPVC, PE, PEX, and PB. Describes how to measure, cut, join, and support plastic pipe according to manufacturer’s instructions and applicable codes. Also discusses pressure testing of plastic pipe once installed. Discusses sizing, labeling, and applications of copper pipe and fittings and reviews the types of valves that can be used on copper pipe systems. Explains proper methods for cutting, joining, and installing copper pipe. Also addresses insulation, pressure testing, seismic codes, and handling and storage requirements. Discusses the proper applications of code-approved fixtures in plumbing installations. Reviews the different types of fixtures and the materials used in them. Also covers storage, handling, and code requirements. Identifies the major components of water distribution systems and describes their functions. Reviews water sources and treatment methods and covers supply and distribution for the different types of systems that trainees will install on the job. Covers the use of integrated total station systems and GPS surveying systems. Explains the use of integrated field and office software to collect and manage data.